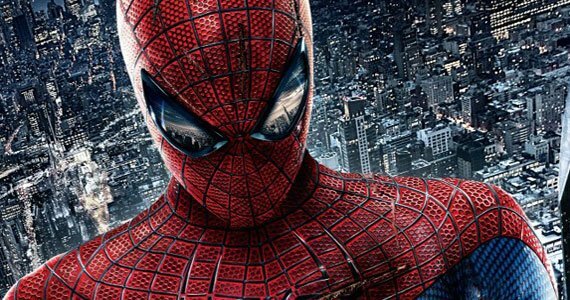 With additions like Jamie Foxx, Dane DeHaan and Shailene Woodley, the cast of Marc Webb’s The Amazing Spider-Man 2 is shaping up pretty nicely. Honestly, I didn’t expect anymore large casting announcements for the project, which is currently in development. I thought that Woodley, DeHaan and Foxx would be the only big names that Sony was adding. Looks like I was wrong though. THR is reporting that Paul Giamatti and Felicity Jones are in negotiations to join the upcoming sequel. Giamatti is set to play The Rhino, a well known Spider-Man villain, and Jones is set for a currently unspecified part. She could be a love interest but seeing as we already have Emma Stone playing Gwen Stacy and Woodley playing Mary Jane Watson, it’s not likely that Jones will try to steal Peter Parker’s heart in the film. For those unfamiliar with the comics, The Rhino is a Soviet thug who has some kind of super suit that gives him incredible amounts of strength and speed. He also does team up with Electro (set to be played by Jamie Foxx) in the comics, so it makes sense that he’ll be appearing in the film. And while Giamatti is the last person who I would have expected to join a film like this, he’s actually an excellent choice. He’s no stranger to the villain role and I’m sure he’ll create a formidable opponent for everyone’s favourite webslinger. It will also be interesting to see his dynamic with Foxx and how the two work together. It looks like Sony is really going all out for this one. The five recent casting additions (Foxx, DeHaan, Woodley, Giamatti and Jones) are all very exciting and I can’t wait to see all the new faces join Marc Webb’s universe. I wasn’t the biggest fan of The Amazing Spider-Man but there were definitely enough things to enjoy in it and I think the sequel is shaping up very nicely. The Amazing Spider-Man 2 hits theatres on May 2nd, 2014. Are you happy with Paul Giamatti and Felicity Jones joining the cast? Let us know in the comments below.